Tell us about you and your business/career, and what you were doing before you started? Did you ‘always dream’ to do what you are doing now? Or did life throw a particular opportunity your way? I was fortunate to find my passion at an early age in life. I graduated as an occupational therapist in Denmark and started out as a rehabilitation manager at Homeward Bound for severely mentally and physically handicapped children in Minneapolis, USA in 1984 and moved to Hong Kong late 1984 and has since worked and lived in Asia for 31 years. I have worked in different settings within the orthopedic, neuroanatomical-and burn units in my career as a therapist. For the past 12 years I have speicialised in chronic pain-relief and have successfully treated more than a thousand people in Singapore and from abroad with acute-and long-lasting pain issues. And who (or what) played the most important role in helping you start? I believe that many of us do what we do, because of some life-changing experience. Mine came when my daughter at age 6 was diagnosed with, what was said to be an incurable disease; one that would leave her to suffer for her whole life. I was determined that would not happen to her, and since that day, I have devoted my life to bringing the joy of a pain-free fulfilled life to clients around the world. Entrepreneurs often become entrepreneurs after a change in circumstances, a change in heart or an ‘entrepreneurial seizure’ – an irresistible urge to follow their dreams. Some people might say that I am an entrepreneur. 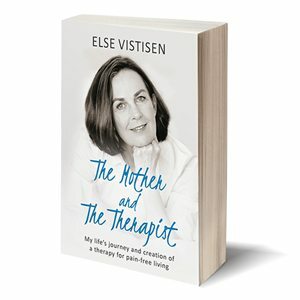 I more so identify myself as a therapist with a curious personality and with a great desire to learn from inspirational people so I can learn, share and provide a better treatment and service for my clients. 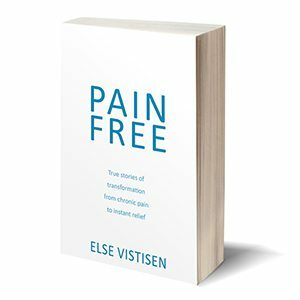 I love challenges and being an independent person why I founded Else Vistisen Therapy in 2005 ( previously, named Combined Therapies ) enabling me to help people in pain by providing a very personal treatment approach to accommodate, respect and embrace the clients’ individual needs. What would you say to people who are struggling with making the jump into a new career, or position? Trust your instincts believe in yourself and JUST DO IT. You can only learn from trying. Each new door opens up for new ideas and opportunities. You meet new interesting people from whom you will be inspired and most often realize that you have undiscovered creative abilities that want to surface and develop as you open yourself to new challenges. Is your business or career all you dreamed it would be? Do you ever feel like giving up or have you ever felt this way? What made you carry on? What keeps you awake at night and gets you out of bed in the morning? Everything has its challenges and there are good days and ‘bad’ days. I think that we all experience the moment of being overwhelmed with either too much work, loss of confidence or having clients that we are unable to help with the presented problem. When that happens to me I make an effort to take time out in silence, listen to good music, go for a run or a swim to raise my energy. Get clear about my goals and passion to create a clear picture of why I am doing what I am doing. What really makes me get out of bed in the morning is knowing, that I can help people lead pain-free, joyful and fulfilling lives so they can return to their best. What is your advice for fellow professionals who are tired, burnout, and ready to call it quits? Take some time out, recharge your batteries and think about what you really want to do in life. Follow your instincts, listen to what your heart tells you, be honest about what you want,, talk to inspirational people. It is never too late to change direction, re-invent yourself. Remember that you have the answer within, if you just dare to listen to what your mind and body tells you. What is your biggest challenge/frustration as an entrepreneur or professional? If you could get rid of one task or fix one thing about the industry that you operate in – what would it be and why? My biggest challenge and frustration is the lack of know how in marketing, electronic communication and social media which I have never studied or taken an interest in. It often takes too much of my time to figure it out and before the task is done I am exhausted from trying to figuring it out. How do you deal with, or overcome that challenge/frustration? I am fortunate that a dear friend of mine is a technology expert and she has kindly offered to help me in setting up my social media content and even better offered to maintain the data. When that is done I will feel so liberated and free to concentrate on what I love and what I am good at. Being a therapist and using my practical hands. What is your biggest failure/lesson in life? How has that shaped how you work, and what you do in your business/career? For a number of years I spend a lot of my spare time in helping and promoting unknown complementary therapies into Singapore and Asia. I was so passionate about sharing the new therapies with my fellow health practitioners that I didn’t realize that my time, effort and dedication wasn’t being appreciated to the, extend that I had hoped for. For some time it made me upset and disappointed until the day, when I was able to look at it with a positive mindset and embracing the true value of me learning from highly respected and inspirational therapists. Why was this an important lesson and can you share your wisdom with others? If you are really passionate about helping and promoting a good cause then do so from the bottom of your heart without any expectations. And be grateful for what you have learned from making a difference. If you could do it all again – what would you do differently? No cheating and saying you wouldn’t change anything! Generally I try not to look back. I am very good at living in the present and enjoying the moment. For me life is not about the destination but all about the journey. We can’t erase past experiences. They are, and will always be part of who we are. It is far more beneficial to embrace and learn from the past and use it as a stepping stone to grow and move forward in a healthy and positive way. Any advice for people who have “regrets” or have made mistakes along the way? We all make mistakes and at times make the wrong decision about what to do in a certain situation. Look at those as a lesson of how you can improve and learn to become a better individual in whatever new challenges you might face in the present moment and the future. Please share a quote or saying that you live by, something that you are known for saying to your family, friends or team – not a quote by someone else but one of your own. We are often bombarded with well-meant advice on how to live our life seen by other people’s point of view. I am a therapist and specialise in chronic pain relief helping busy, high achieving individual with acute and long-lasting pain issues to return to their best.